The digital world has become an important battlefield for protection of linguistic diversity. Digital media and tools represent only one of the various possible contexts of language use, yet they are fundamental to secure survival for these languages. As citizens’ life makes an increasingly extensive use of digital devices, a language’s digital presence is of utmost importance to be perceived as fitting the needs of modern world. In order to establish a sustainable policy for safeguarding and promoting linguistic diversity, the digital world cannot be ignored any longer. In a world that is increasingly being dominated by ICT, no language can afford to miss the digital opportunity if it aspires to be a vital language. Yet, the rich cultural tapestry of European linguistic diversity is severely underrepresented on digital media and almost completely excluded from the digital services which are usually available in EU official languages. In the digital domain, speakers of EU regional and minority languages (RMLs) have fewer opportunities to use their language compared to speakers of major languages. 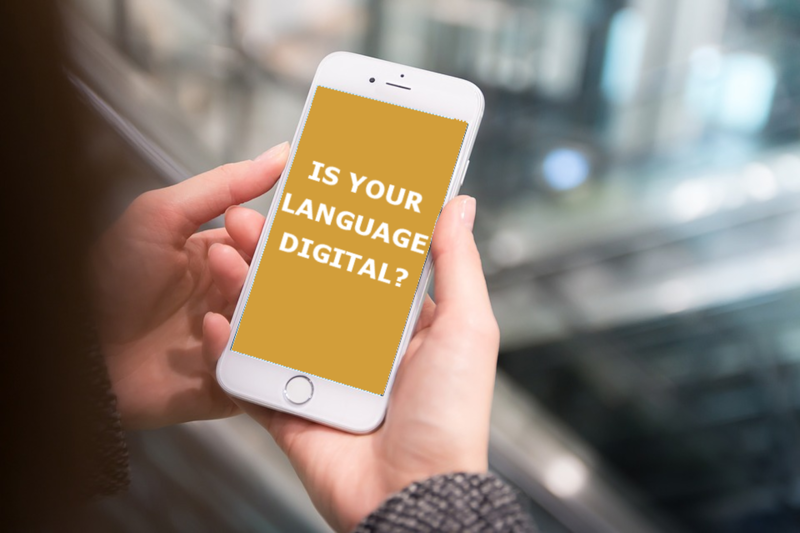 As the world becomes increasingly digitized, many speakers of RMLs are facing a ‘digital timebomb’, as their languages are unable to match the pace of digital development for dominant languages. 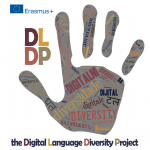 The Digital Language Diversity Project (DLDP), is developing tools and materials designed to empower language communities and to strengthen the digital presence and use of their language. Join us in this effort and discover what can be done! There are several ways in which it is possible to increase the digital presence of a language. In DLDP, we have highlighted a number of exemplary topics, and delivered them to you under the form of a virtual Training Programme. to know what can be done to improve and promote the digital vitality of your language. Read the DLDP Recommendations to know about what can be asked to States and policy makers to develop digital services in lesser-used languages so as to deal with the impending digital time bomb. If you know about the existence of projects or initiatives using the Internet to revitalize, preserve or encourage the use of regional and minority languages, please contact us, so that we can add them to our directory! If you share the views and objectives of DLDP, there are several ways you can get involved.